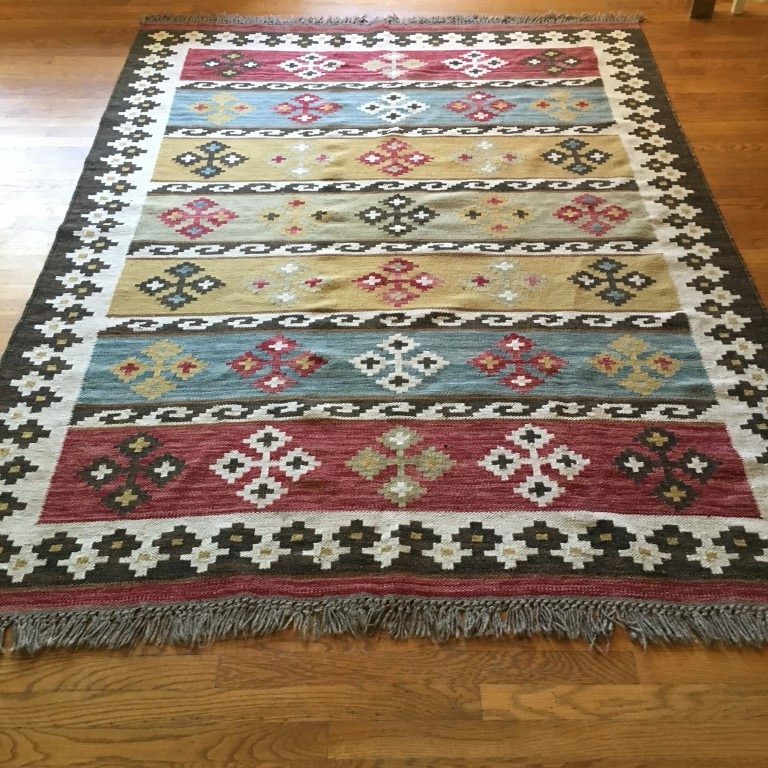 This beautiful hand knotted tribal rug in excellent condition. It is a flat weave, but high quality wool yarn gives it more thickness and greater resilience than most carpets of this type. The exceptionally durable wool is dyed with vegetable pigments to give a rich, warm color pallet. The rug is in excellent condition with no significant wear. Both fringes are in excellent shape.